Places must be booked in advance, and confirmation will be issued prior to the date of training. Bookings can be made in our shop, by post or online. Please bring your confirmation with you when attending the course. Places are subject to availability and we reserve the right to cancel the course. Refreshments are included within the fee. Any children (under 16) must be accompanied by an adult. Courses are held indoors, but please wear warm clothes in cold weather Full payment is required upon booking. Bookings are subject to the following cancellation policy: If a cancellation is made within 14 days of the course no refund will be given. If a cancellation is made with more than 14 days notice but within 6 weeks of the course date then we will try to re-sell your tickets. If we are successful then a Mantel Farm Voucher will be issued for the full amount less a £10 administration fee. If a cancellation is made with more than 6 weeks notice then a full refund will be issued. The following terms and conditions form the basis on which you can visit us and our website. Please read them carefully as they contain important information. This site is owned and operated Mantel Farm Ltd of Henley Down, Catsfield, East Sussex, TN33 9BN. If you have any queries about these terms and conditions or if you have any comments or complaints on or about our website, you can contact us at info@mantel-farm.co.uk or 01424 830357. We must receive payment of the whole of the price for the goods that you order before your order can be accepted. Once payment has been received by us we will confirm that your order has been accepted by sending an email to you at the email address you provide in your order form. This acceptance of your order brings into existence a legally binding contract between us. All rights, including copyright, in this website are owned by or licensed to Mantel Farm Ltd. Any use of this website or its contents, including copying or storing it or them in whole or part, other than for your own personal, non commercial use, is prohibited without our permission. You may not modify, distribute or repost anything on this website for any purpose. We will charge your credit account for payment upon receipt of your order unless collection/delivery cannot be fulfilled within 30 days. We accept no liability if a collection/delivery is delayed because you did not give us the correct payment details. If it is not possible to obtain full payment for the goods from your account then we can cancel the contract and or suspend any further deliveries to you. This does not affect any other rights we may have. 10.1 Our delivery charges are available upon request. 10.4 If delivery is agreed by ourselves, we will deliver the goods to the address you specify for delivery in your order. It is important that this address is accurate. Please be precise about where you would like the goods left if you are out when we deliver. We cannot accept any liability for any loss or damage to the goods once they have been delivered in accordance with your delivery instructions (unless this is caused by our negligence). We will aim to deliver the goods by the date quoted for delivery but delivery times are not guaranteed. If delivery is delayed due to any cause beyond our reasonable control, the delivery date will be extended by a reasonable period and we will contact you to arrange an alternative time. Risk of damage to or loss of the goods passes to you at the time of collection or delivery to you, or if you fail to collect or take delivery at the agreed time. You will only own the goods once they have been successfully collected/delivered and when we have received cleared payment in full. Goods supplied are not for resale. You will need to provide us with your e-mail address and we will notify you by e-mail as soon as possible to confirm receipt of your order and e-mail you again to confirm details. An acceptance of your order will take place on collection/despatch of the good(s) ordered. 13.1 If you are contracting with us as a consumer online or by phone, you have the right to cancel (under the Consumer Rights Directive 2011/83 as implemented in the applicable EU member state ("CRD")), all or part of your contract at any time up to 14 calendar days after the day on which you receive the goods or services you ordered. Any paid delivery charge will be included in your refund once we have received all (not part) of your order to the specified address below. Please note the delivery charge refund will be to the value of standard delivery. Mantel Farm will process your refund within 14 days of receipt of the products, to the specified returns address. You must take reasonable care of the goods while in your possession and they must be returned to us before we can issue your refund. Unless otherwise expressly stated in these terms and conditions, all notices from you to us must be in writing and sent to our contact address at Mantel Farm Ltd, Henley Down, Catsfield, Battle, East Sussex, TN33 9BN and all notices from us to you will be displayed on our website from time to time. Pre-boxed orders ready for collection - we will hold non-livestock items for a maximum time of 2 weeks at which point your order will be cancelled and you will be refunded minus a 20% handling fee. All livestock orders are non-refundable. Collection of livestock orders must have specified collection time Please contact us to arrange. Your animals must be in good health and free from pests and diseases. If in our experienced judgement we consider your animals to be in any state of ill health, we reserve the right to refuse their stay with us. Should we consider your animals unfit or find any pests, then we reserve the right to refuse them. The best of care will be given to your animals during their stay with us, and we can accept no responsibility for any illness/problems arising during their stay or after their return. Your animals should be used to living together happily in one area. For Chicken boarding, only one Cockerel per pen is accepted. If animals are collected earlier than arranged, the full boarding fee will still apply. If animals are collected later than agreed then the extra length of stay will be charged at our standard boarding rates, provided that contact has been made with us, and the extended stay agreed. If animals are not collected on the arranged date, and no contact has been made with us, those animals will be held for up to 7 days, after which time they will be deemed to have been ‘abandoned’, then shall become the property of Mantel Farm and be re-homed as appropriate. If animals are collected after the agreed collection date, without making contact to arrange for an extra length of stay, additional boarding rates will apply at double those of the original booking. Should your animals become poorly during their stay, we will use our experienced judgement to determine the best course of action. Emergency contact numbers must be UK contacts only, overseas calls will be charged accordingly. Should we consider that the services of a vet are required, then we will contact you on the emergency number you have provided, in order that arrangements and payments can be made as necessary. If you have not provided an emergency contact number, we will care for your animals to the best of our ability, but can make no guarantees; in this instance we will not employ the services of a vet. Although we guarantee to provide a secure and protected environment for your animals, looking after them employing our many years of experience, we cannot be held responsible for any disease, injury or death during or after their stay. It has come to our attention that a number of rabbits in the South East region have died in the as a result of disease. Post Mortems carried out by Veterinary Surgeons in 2017 have confirmed the presence of RVHD2 (Rabbit Viral Haemorrhagic Disease) in some of these cases. In light of this news, we are requiring all rabbits that board with us to have been vaccinated with the Myxomatosis plus RVHD1 vaccine - given together as one jab - and also the additional RHVD2 inoculation. Please ensure that you have taken the appropriate steps to protect your rabbits. We are asking you to please bring a vaccination certificate with you when arriving with your rabbits. 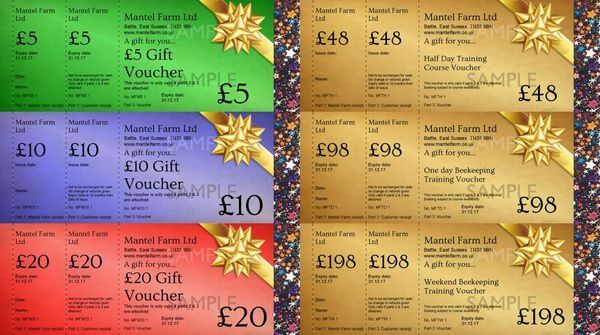 Alternatively you can email a scanned copy of your certificate to info@mantel-farm.co.uk. This precaution is to ensure the protection of all rabbits in our care to avoid the spread of any diseases. Please contact us for more information.